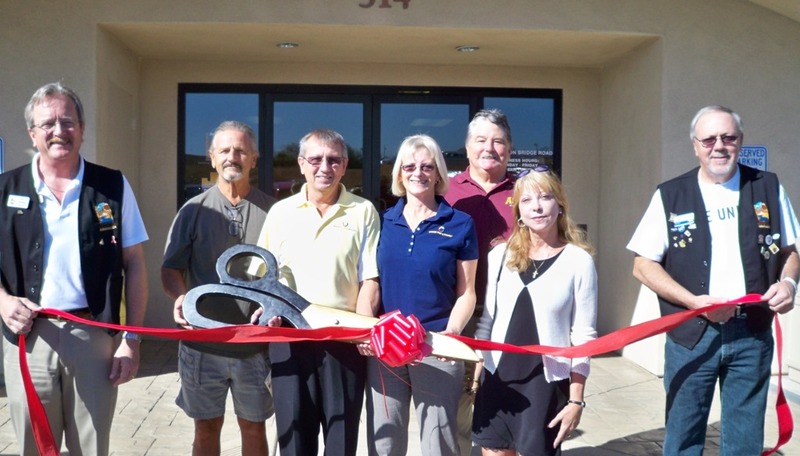 The Lake Havasu Area Chamber Ambassadors held a ribbon cutting for Seniors Helping Seniors, a non-medical home care organization that provides companionship, transportation, meal preparation, pet care, overnight stays, home maintenance and small repairs and other services all by seniors who get paid for their work. Seniors Helping Seniors in-home services provide seniors with the ability to choose an independent lifestyle in their own homes, for as long as possible, with the dignity and respect they deserve. Seniors Helping Seniors caregivers are more than just a provider of service; they become your friend and are available any day, any hour of the week. On hand for the ribbon cutting from left to right are; Chamber Ambassador, Steve Bentley, Frank Shepich, Dave Devett, Eileen Devett, Dell Van Leuven, Janet Barletta and Chamber Ambassador, Gene Apedaile. For more information, please contact them at (928) 505-8755.